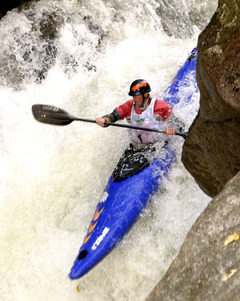 The Green River Narrows is called ‘The Fast-food of creek boating’ and for good reason. There is no river in the world that has such easy access to class five rapids, consistent 3-4 season flows, and consistent dam-released water levels. 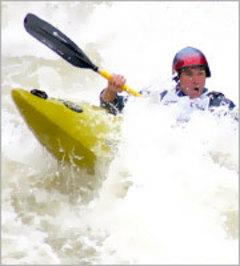 It’s also the home of the most extreme downriver kayak race in the nation – a 4-6 minute descent dropping over 342 feet in about a mile of length. 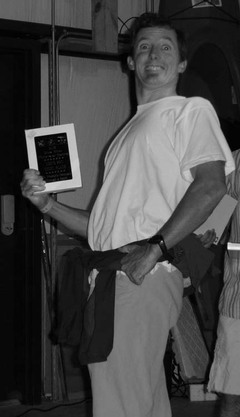 This year was the 10th anniversary of the event, but felt just like any other – 72 testosterone and Red-bull jacked men and 3 women in boats from 8-12 lengths bombing down, spinning out, and occasionally swimming parts of the bedrock but boulder-choked course as a crowd of 350+ spectators cheered, jeered, and tried to keep from slipping in from the steep bedrock rock banks. The crowd favorite – 4 time race winner and LVM super-star Tommy Hilleke – was back in town with his trusty blue Prijon Tornado to defend his crown while his primary competition – boy wonder Pat Keller – was out due to a recent 80 foot Costa Rican waterfall misadventure. his left the door wide open for the rest of the Asheville / Tornado crowd to grab a place in history should the champ spin-out. Accordingly, the river was jam-packed with Tornado’s doing lap after lap on the course the week before the race. Race boasted 75 degree temps with fall colors peaking throughout the gorge. The race had its moments, as it always does. Several racers surfed, some went swimming and some hiked back up for a second run. Tommy Hilleke went home with his 5th Green Race trophy and the course record (a 4:32!). The local Tornado crowd dominated the top 10 placings, while I ended up surfing just long enough to let Eric Jackson take 11th and the short-boat title. The post-race party went off thanks to Astral and Liquid Logic’s BBQ but everybody knows it’s just the ‘cool-down’ after one smoking hot race. That feeling you get on course – while the clock is ticking down and you’re rolling through your lines and your 200 friends are cheering as you ‘Ride the Lightening’ off Gorilla . . . that’s best moment in the world. It’s also what the annual Green Race is all about. Racers "Ride the Lightening" off Gorilla, while spectators get a front row view of the Class V rapid. 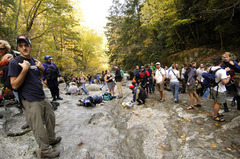 350+ spectators hike the 2 miles to the rapids...the trail is famous for it's steepness. 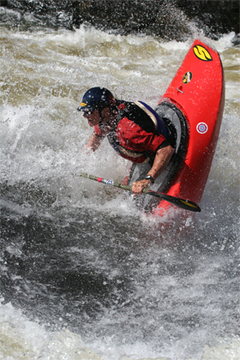 American Whitewater secured recreational releases for the Cheoah River in North Carolina. For the first time in 75 years paddlers paddled the river - oh what a day it was. 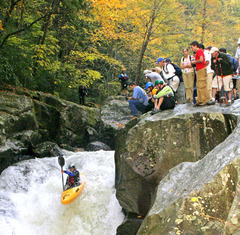 Click here to see LVM's video of the Cheoah Release. The term 'Deep South' would definitely apply to Wetumpka, Alabama; this year's home to the US Freestyle Nationals on the Coosa River. While this remote locale kept some of the West Coast boaters away, it also made for a unique and totally memorable event. 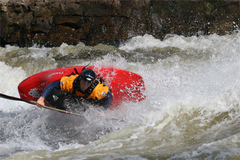 The Coosa river runs as a recreational dam release (negotiated with help of the organizer and Southern Trails Outfitters owner, Lonnie Carden). On the specified days 4-8000 cfs of warm, brackish water entertains kayakers, fishermen in bass boats, as well as rental canoers all enjoying the back-woods feel while hoping to see the elusive resident alligator. Combine 90 degree water with class 2 and 3 rapids and you get a pretty good place to play. And the locals do like to play. Be it Southern Comfort bottles passed around on the rocks at noon, 4-shot margaritas served as 'medium' at the local Mexican restaurant, or the massive quantities of beer provided at every site in the campground it's pretty clear these Southern Boys weren't going down without a ruckus. To the music of Hood River's Moe Dixon the boathouse was hopping till midnight despite long days on the water. Perhaps it was the bonfire's smoke, or maybe the moonshine, but Alabama makes even the recent West Virginia partys seem tame. We had 4 cars sunk deep in the red clay near the event site and another that tried in vain to 'jump' the 5' tall bonfire while it blazed amidst sleeping campers. Yee haw! Emily Jackson (15) took 1st in Jr. Women and Dane Jackson (12) took 2nd in Jr. Men to Billy Baudin. Thanks to event organizer Lonnie Carden, Southern Trails, and to Kristine Jackson for making this event a reality. Click Here to check out the video teaser! 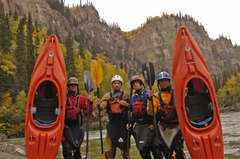 Tommy Hilleke(28), John Grace (30), Toby MacDermott (22) and Daniel DeLaVergne (28) completed the first "single day descent" of the Stikine River, known as the "Everest" of rivers for kayaking. 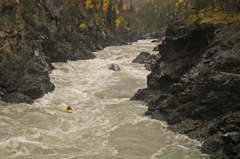 See field notes below and an article from Taylor Robertson of his attempt on the Stikine several years ago...it's extreme expedition kayaking at it's best! Ran shuttle on the 12th. Rained all night, river already high. Put on the 13th, 10 people, 6 veterans. Made it fully intact to camp 1 at Site Zed. In the AM water was up almost a foot. The next day they walked out too. canyon (but the trail is supposed to be a secret kind of). 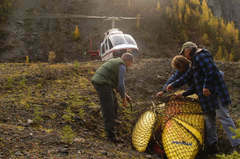 "Pacific Western" helicopters to fly to Site Zed and retrieve their boats. (Meanwhile) on the 19th Eric Boomer and Tristian put in on the river. 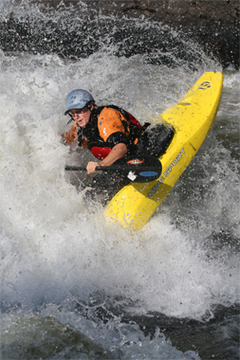 the river in about 30 minutes. The crux was the “Hole that Ate Chicago” rapid.No good line and a swim meant swimming V drive the biggest run rapid on the river and right at the end. push to finish the canyon in two days. 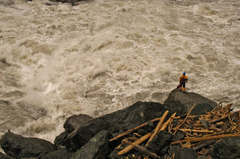 Taylor Robertson's article on his Stikine Experience click here. We met the moose hunters Taylor refers to in his article. They said they had told the boys "we need your cards cause we are gonna have to call your next of kin if you go in the canyon at this flow. We know Rob (Lesser) and he wouldn't go nowhere near the canyon at this level.'' - which he pointed out would be about up to our shoulders where we were standing: still 40' from the river's edge. 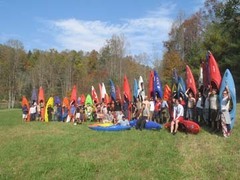 World Class Kayak Academy (WKCA) is gearing up for its 2nd annual Paddle-a-thon on the Saturday of the Gauley River Festival, September 24, 2005. Due to last year’s success and in the spirit of giving & giving back, WCKA invites the paddling community to join in! Students and faculty will paddle the entire river twice covering 52 miles, and other participants can join the World Class crew for any or all sections of the river run. All participants are asked to solicit pledges or donations for their paddle to help meet our goal of raising $6,000! Also, all participants and spectators have the opportunity to participate in World Class’ fundraising raffle held at the Gauley Festival. The recipient of this year’s Paddle-a-thon funds will be Habitat for Humanity, American Whitewater and the World Class Kayak Academy Scholarship Fund. 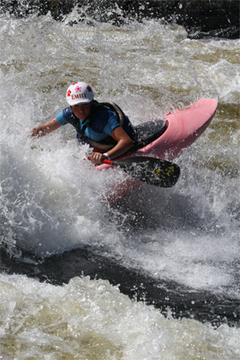 - Donations – donate money to a sponsor a specific paddler or to sponsor the Paddle-a-thon in general. 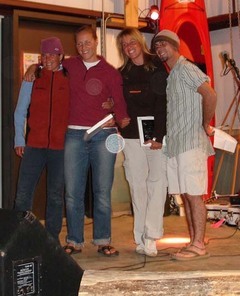 - Product - to give way to Paddle-a-thon participants who raise the most money. Your contribution will go far! With the help of your donation and participating in the Paddle-a-thon, World Class will help Habitat and AW continue their amazing work and will allow dedicate, motivated students who lack adequate financial resources to attend World Class.